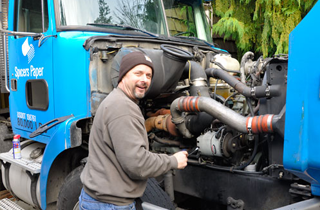 Northwest Services provides repair and maintenance services to mobile medical coach units, semi-trucks and trailers, as well as commercial fleet service in the Puget Sound area. Our technicians are on call 24 hours a day and available to respond to any emergency. Who can you trust to do the job right? Locally owned and operated since 1989, Northwest Services has been providing reliable on-site service and repair with “Red” our one-of-a-kind, custom mobile repair shop, staffed with experienced technicians. One look inside and you’ll see we are prepared to handle all types of emergencies, repairs and maintenance. …ready to handle your emergencies, repairs and routine maintenance. 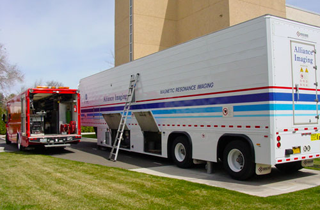 Northwest Services specializes in the repair and maintenance of mobile medical coaches, like MRI mobile labs. With our experienced technicians and custom mobile service truck, we’re equipped for any repair or emergency-24 hours a day. Breakdowns are never convenient and we know time is money. With our mobile repair truck ready to respond in an emergency, we have the equipment and experience to get you back on the road faster. 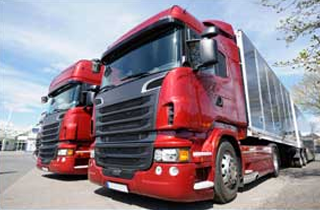 The success of your business depends on the reliability of your trucks. Northwest Services offers commercial fleet service to minimize breakdowns and keep your vehicles operating smoothly and your customers happy.